Is Church Growth The Best Way To Make More Disciples In Your Neighborhood? In addition to “how can we break through to the next size level?” we need to ask “is bigger really better in this situation?" When small churches follow a strict Org Chart, people end up filling positions instead of operating within their talents, gifts and passion. Does your small church have an Organizational (Org) Chart? If you don’t, relax. You probably don’t need one. When a church is making disciples a whole lot of problems get better or go away entirely – including finances. Churches have to do more ministry with less money. That’s becoming truer with every passing year, and it will increase for at least another generation. Churches emptying out into their community to share the good news is a greater sign of effective ministry than an increase in church attendance will ever be. Getting more people to go to church has never been the point of church growth. What‘s the best church size? Some church growth proponents might argue that, whatever your size, “just a little bigger” would be better. 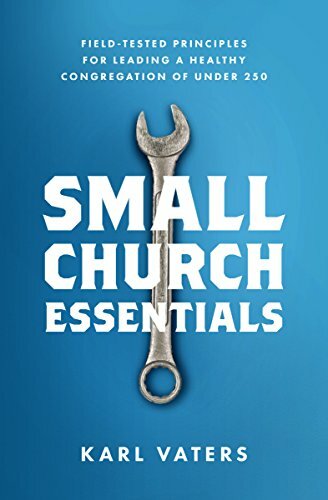 Many house church attenders would propose that smaller is better. The best way to help foster the Fruit of the Spirit in others is not by demanding it of them, but by living it out with them. This generation wants to honor its elders and be mentored by them. That may not feel like it’s true – especially if you, like me, are old enough to qualify for AARP membership. But I assure you it is. If A Church Isn’t Growing, Should The Pastor Be Fired? Nowhere does the Bible imply that a pastor is not being faithful if they don't hit certain levels of numerical increase. The title of today’s post is based on a question that I read in a Facebook group for pastors. The more good sources you take ideas and inspiration from, the more likely you’ll discover the unique ministry God has for you. This summer, in county fairs all over America, people will flock to see tribute bands. The church does not exist to give us an audience for our ideas, projects or egos. It exists to fulfill Christ’s purposes. The church belongs to Jesus. It is not owned by its denomination, its donors, its members, its staff or its lead pastor. Jesus said he would build his church – and he’s not about to give up that ownership to us or our ideas. We have an obligation as leaders to have a plan in place to resolve conflicts in the healthiest way possible. Conflict is inevitable. Even in a healthy marriage, family and church. Like healthy marriages and families, healthy churches don’t avoid conflict, but they deal with it well. If you’re a small church pastor who’s been frustrated with your inability to gain control of the church, stop trying. There's a better way. If you’re a control freak, I have one word of advice. We've been doing this badly, folks. Here are three simple steps to help my generation of Boomers become better at discipling the next generation. What’s wrong with today’s younger generations? I hear that question all the time. Especially from my fellow Baby Boomers.